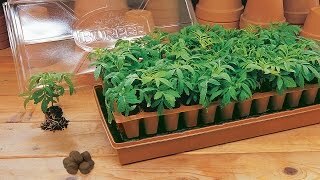 Make your own eco-friendly seed-starting pots! This nifty mold transforms strips of ordinary newspaper into biodegradable seed-starting pots that you can plant right in the garden. No more trays and pots to buy, wash and store. Made from solid maple, lasts for years, and is completely recyclable. A real money saver! Expert Tip: This works wonderfully with Burpee's 50mm Super Growing Pellets! 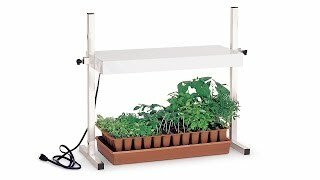 Seed Starting PotMaker® is rated 4.6 out of 5 by 33. Rated 5 out of 5 by Bearmud from Great for kids! I bought this and just love it! You can make pots out of junk mail, old wrapping paper or anything else that you have. Great to teach kids about conservation and using what you have. Rated 5 out of 5 by OC at TVF farms from Excellent choice for renewable resourcing Just got my pot maker and tried it out. Awesome is what I would say! 9cm x 25cm strips of paper, or 3.5inch x 10inch. Put a small brush mark of glue on the seam ounce you have rolled it around the spool, fold the bottom flaps inward so that your glued seam is the last fold in, then press it in the mold. Nice you then have a 3-inch biodegradable pot. Not for long storage but if you are selling starts or gifting them this is a nice recycled use of newspaper, packing paper or any paper that can be made into strips. Rated 5 out of 5 by Gleaner from Pot Maker earns its' keep! I have used this product for over 20 years with enormous success. I have made thousands and thousands of pots. The secret to providing stability from newspaper is to completely fill a flat with these. It takes 50 of them, packed somewhat snug to fill a standard-size flat. As I fill the entire flat, then I water the pots. I let it sit over-night for the moisture to be distributed evenly. The next day, I put seeds on top of the pots. I top the planted pot with a light dusting of seed-starting soil. Pots are labeled, of course. I use a heating pad underneath. On top, I use both an incandescent light and fluorescent light. Voila! Germination occurs! For healthy growth, I implement a fan for several hours a day. I eventually transplant into larger containers or straight to the ground (removing the newspaper, due to our short growing season). I initially started out as a frugal gardener trying to grow food at the lowest cost. I like having so few supplies to store between season. I am convinced of the method. Already have a flat of newspaper pots, seedlings on my kitchen table! Rated 1 out of 5 by JoanE from Failing bean trellis Trellis started to fall apart as plants grew around it. Rated 1 out of 5 by mickelby from pot make shortfalls the first time you set your littpe paper pots outside and it rains, the pots disindigrate and colapse on your plants. I've gone back to peat pellets. so that when I try to harden off my little plants the medium does not colapse in a spring riain. Rated 5 out of 5 by Renee from Great investment I have made 600 pots with this this spring. I can't even imagine how much money I saved over buying pots. I love it and have reccomended it to all my gardening friends. Rated 5 out of 5 by Kren from Fantastic Have tried other types of paper to give seedlings away to others. It is a great product -- saves $$ on gardening needs. Rated 2 out of 5 by GizmoJones from Falls apart easily Once you get the paper pot produced by this mold wet it starts to fall apart, either by losing its shape or by disintegrating. I tried using newspaper, paper from the phone book, longer strips, wider strips, etc., but lost almost all my seedlings because the pot fell apart before the seedlings were ready to transplant. I think this product would work best for potting quick-germinating seeds with fast-growing root systems like squash and beans, because the roots held the pot together. If your seeds take more than a week or two to germinate, it's best to use something that can hold up better to moisture.